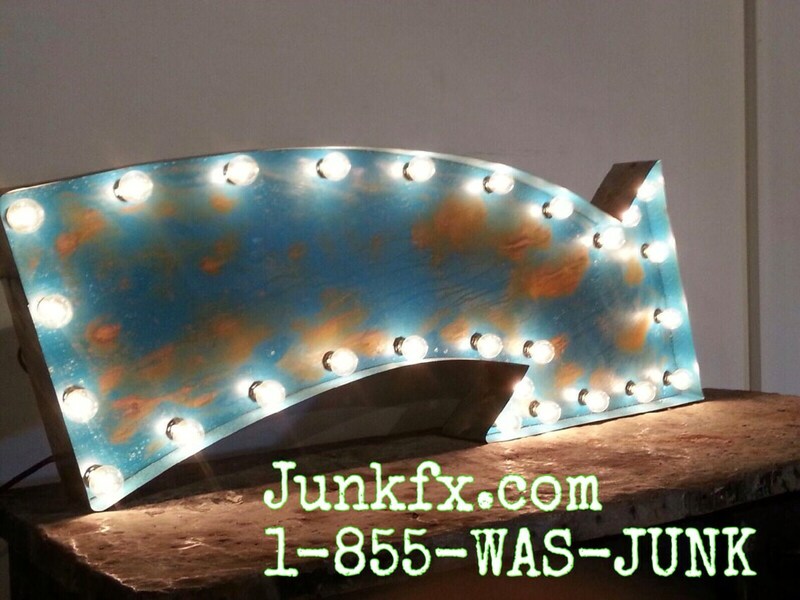 Here's a recycled vintage style arrow in teal, but we can do custom colors. It has 4 hangers on each sign to hang it any direction. It has commercial sockets and vintage style round bulbs. Wired with a plug and an off/on switch. This sign is made with 20 gauge tin and has a 4 inch edge welded around the letters.